With its rich history and booming population, Stouffville is rapidly becoming one of Ontario’s best places to do business. Considering how substantially the community has grown in the past few years, don’t you want your business to advance along with it? If your office is feeling a little out of date and could use some sprucing up, Alliance Interiors is here to help you restructure your work space so that it’s just as appealing as the rest of our great community. When Is It Time For A Remodel? Since Stouffville has been growing and revolutionizing so much in recent years, you want to make sure that your office keeps up with the changing tide. Maybe that just means bringing in some new desks and chairs. Or maybe it means moving your business into a whole new building on the other side of town. Whatever the solution, Alliance Interiors wants to help you make your office the best it can be. Employee morale is low. Maybe you’ve been noticing that your employees are looking more tired than usual or that their work hasn’t quite been up to par with what you know they’re capable of. If so, the good news is that the solution could be relatively simple—it could just be that they need a little excitement. Yes, interior décor is meant to last, and managing to keep the same carpet intact for decades should be considered a badge of honor. But old, drab décor has been shown to negatively affect mood and productiveness of workers, so an office makeover could be just the thing they need. Your office is your employees’ home away from home, and since they do so much for you and your company, they deserve a place that is both comfortable and visually pleasing. You’re turning away potential clients. Since your office will be one of the first things that your potential clients will see, you want to make sure it’s as impressive as possible. Your office should be a reflection of your business—if you want clients to see your business as the best, most innovative, most inspiring company in Stouffville, your office should be all of those things and more. On the flip side, clients shouldn’t feel like your décor is stuck in the last century because you can’t afford to change it. Why would they want to work with a business that they believe is struggling? Success – or the perception of it – breeds confidence. At Alliance Interiors, we want to do more than simply help you renovate your office—we want to help you make your business as successful as it can be. This means working with you through every step of the renovation, from drawing up blueprints to furnishing your new office, so that by the time the process is over, you’re confident not only in your new work space, but also in the impact that it’s going to have on your entire business. Office Space Planning: Sometimes a simple layout change is enough to make an old office feel brand new. 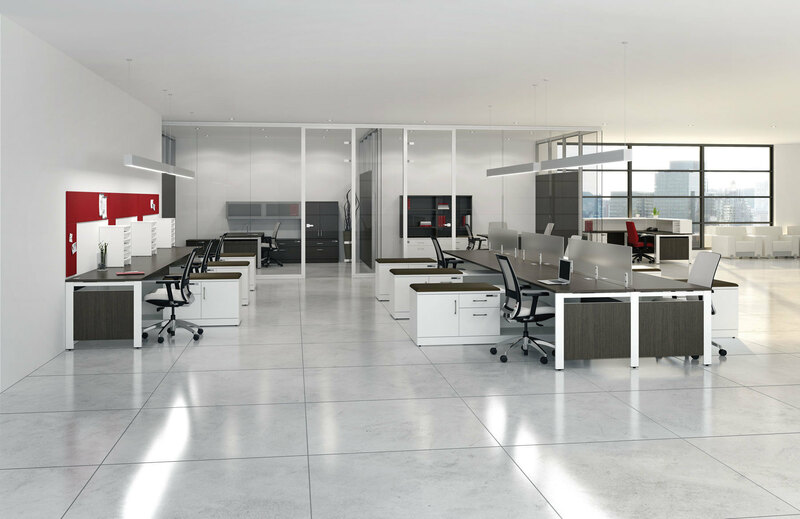 Since we know that office space planning can be daunting, Alliance Interiors will be with you to help you take on this task, from brainstorming potential layout changes to making those dreams a reality and carrying out the remodel. Office Project Management: Because we want you to feel comfortable and confident working with us, Alliance Interiors will be beside you to help you manage every step of your office renovation project. We will help you decide on a budget, review all specifications, and we will even work with an experienced designer to produce a full set of blueprints for your new office. Home Office Design: No job is too big or too small for Alliance Interiors. We understand that home offices are just as important and can have just as big an impact as traditional offices on individuals and on the Stouffville economy. This is why we promise to work as hard with you on your home office as we would on a traditional office. Corporate Office Relocations: It’s true—Alliance Interiors doesn’t stop at simply remodeling old buildings. If renovations won’t cut it and it’s time for you to completely relocate your office, we can help you coordinate your corporate office relocation in the easiest and most cost-effective way possible. Office Furniture Procurement: Whether it’s the only change you’re making on a relatively small-scale renovation project or the finishing touches on a much grander office transformation, office furniture is extremely important to your employees and the aesthetics of the office. To ensure that you find the best, most fitting furniture for your office, Alliance Interiors has partnered with some of the area’s highest-quality furniture vendors. Renovate Your Stouffville Office Today – Call Alliance Interiors! We can’t wait to work with you on your next office renovation project!